BLOOMINGTON, Ind. 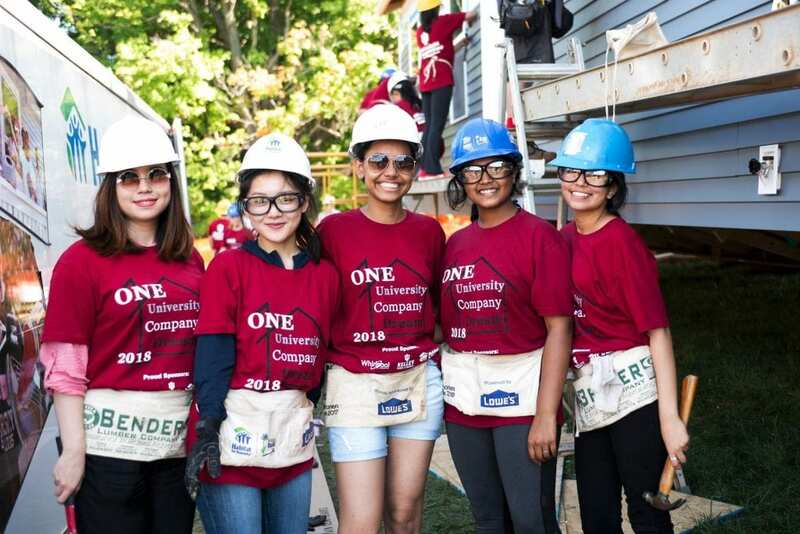 – Socially-minded students at Indiana University Bloomington are invited to participate in a new case competition that this year will benefit Habitat for Humanity of Monroe County. Hosted by the IU Kelley School of Business and its Kelley Institute for Social Impact, participants will help Habitat analyze its current operating model and propose ideas for future development. The Kelley Impact Competition is open to all undergraduate IU students. Organizers welcome participation from teams of four students who demonstrate a variety of academic and professional interests. In addition to monetary prizes for the top three teams, the winning team will receive $10,000 in seed money to support their idea and hopefully create lasting change in the community. “People are financially incentivized to come up with the next big startup idea more than they are to solve today’s major social issues,” said Kelley 2011 alumnus Lance Breitstein, whose gift made the competition possible. “This competition seeks to realign those incentives so that we can have the smartest students in the country learning more about the issues in their community, getting involved in a solution, and making a real difference in the world around them,” Breitstein added. For many years, IU students have contributed their energies to Habitat for Humanity, including through an annual campus build supported by the Whirlpool Corp (pictured above). Wendi Goodlett, president, and CEO of the local Habitat chapter, said she welcomes a new kind of support from IU students. “Housing insecurity is a critical issue that Habitat for Humanity of Monroe County is working to address,” added Logan Schuerman, KISI’s assistant director. “By examining their current business model and opportunities for development, students will be able to present realistic, feasible ideas for Habitat to consider and implement as fits their goals. Social issues are complex challenges. While the focus of the case includes business elements, involving students from a multitude of backgrounds and disciplines opens opportunities to collaborate and develop creative and dynamic solutions, she said. Applications will be accepted through Feb. 10. Teams will receive information about the case at a kickoff event on Feb. 20 and make their presentations on April 5. The first-place team will receive $10,000 (in addition to the seed money for their project). The second-place team will receive $3,000 and third-place team will get $2,000.